Despite advances in technology, our ability to predict natural disasters is in need of improvement. Of course, accuracy is still an issue, but even in the case of precise forecasts, we can barely issue our warnings with enough time for people to evacuate to safety—as in the case of earthquakes, which is arguably the hardest to predict. In short, even when we can predict disasters, there is no effective means of alerting people. This novel new app, MyShake, hopes to help combat all of these issues. Created by a team of researchers from the University of California, Berkeley and Deutsche Telekom’s Silicon Valley Innovation Center, this free Android app makes use of your smartphone’s accelerometers to record shakes caused by earthquakes. It then uses data collected to create a global seismic detection network that could, one day, warn users of incoming earthquakes before they hit. “As seismologists we are always struggling to think about how to collect more data about earthquakes. We’re data-limited in our finds,” said Richard Allen, the director of the Berkeley Seismological Laboratory at the University of California. “We need more data so that we can understand the physics of earthquake processes so that we can better predict what will happen in future earthquakes, and so that we can build better buildings, and think of other strategies to reduce the effects of future earthquakes,” he added. Still in its initial stage of development, the latest version of MyShake that was recently released doesn’t have the warning system built in just yet. However, researchers released the app in the hopes of having users feed earthquake data around the world. “The first generation of the app will be predicting earthquakes and sending data to our central server so that we can verify what we are doing so that we can see all the materials,” said Allen. Right now, all it does is collect data and analyze it using the built in accelerometers (that thing that lets you view the screen horizontally or vertically on your phones) and send it back to the MyShake’s central server at the Berkeley Seismological Laboratory. The app is also equipped with an algorithm that can distinguish everyday use and jolts versus earthquakes. The main difference it will have with traditional seismic networks, which only have stations every ten kilometers, is that this one will tap into the ubiquity of smartphones. So essentially, it’s like having a station for every person that has the app installed in their devices. 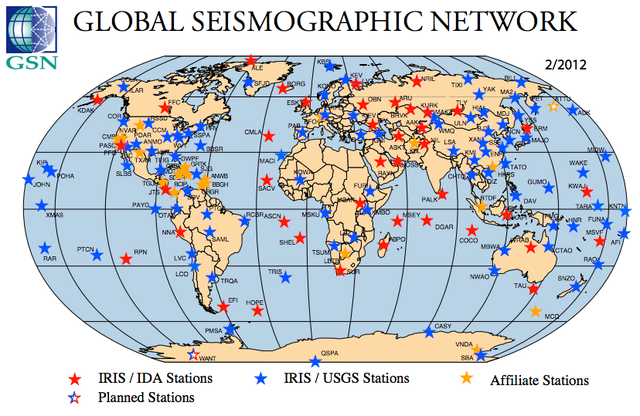 This can help improve early warning system in earthquake prone places that already have the traditional seismic networks in place or put one in place where there is none at all. Would You Sleep In This Earthquake-Proof Bed That Swallows You?